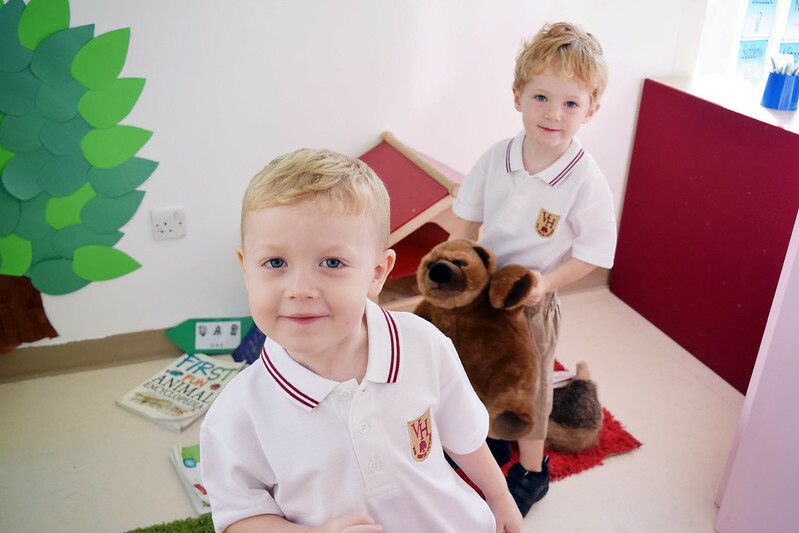 Welcome to Admissions at Victory Heights Primary School Dubai! We understand that selecting the right school for your child is an extremely important decision and we are delighted to assist you further in our admission process to help you to understand our school and application process. Victory Heights Primary School is situated in Sports City, next to the Victory Heights housing area. The curriculum is modelled on the National Curriculum for England, significantly enhanced by the International Primary Curriculum including studying Arabic and Spanish languages. At Victory Heights Primary School what we consider essential is that children are given an environment in which they can truly develop their potential, explore and discover the world around them, learn to think for themselves and form independent opinions, be aware of and be able to relate to others, and have the ability to take responsibility for their actions. Parents and children at our school appreciate the Victory Heights Primary School family atmosphere and teachers’ personal interaction with their students. Children are encouraged to love their studies and feel proud of being a part of VHPS community. Once your child has been registered with Victory Heights Primary School by submitting the online application form via our website, he or she will be invited to take an assessment by spending half a day (depending on the age of the student) here at our school. During the assessment your child will engage in a typical day, enjoying class-time, snack, and informal assessments to gauge placement readiness. It is necessary for your child to experience the school and teachers as we know that children perform best when they understand their environment and what is expected of them. It is important for parents applying to Foundation Stage 1 to understand that places for new students may be limited. We therefore strongly recommend that parents contact Admissions directly to better understand the current enrollment situation and availability for the year group you require. We encourage every prospective parent to visit us in order to find out what our school has to offer and whether VHPS will fit the goals you have for your child. We conduct all tours for parents on a daily basis and provide plenty of time for a question-and-answer session. Please take a moment to schedule a visit by submitting the book a tour form. You can also contact us at +971 (4) 423 1100 or via the contact form. We look forward to meeting you and helping you make the best decision for your child and family.